Cancel the reservations at the French restaurant and dine in with our Tuna Salad Nicoise. Watch this video to make our Tuna Salad Nicoise today. Spoon tuna onto 4 spinach-covered plates; surround with eggs, beans and vegetables. Prepare using frozen green beans. 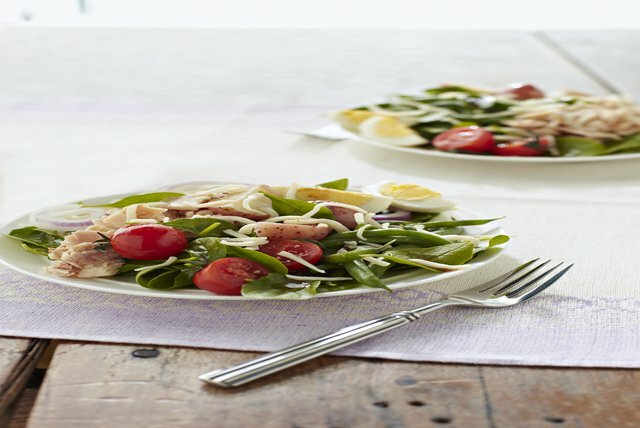 Enjoy 2-1/4 cups of vegetables in each serving of this classic low-calorie, low-fat salad.